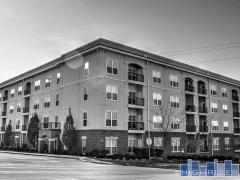 Whitehall Condos of Clayton, MO | 710 S Hanley Rd. This luxury condominium building includes a 24/7 professional staff and on-premises general manager along with a maintenance superintendent. Monthly condo fees includes heating, cooling, water and parking. Have any comments or questions about Whitehall? Ask your question and/or share your thoughts about this Building. we have toured a main floor condo and liked it very much. We have a home in Ladue now. HI Carol. Are you looking to put an offer on the condo at the Whitehall?